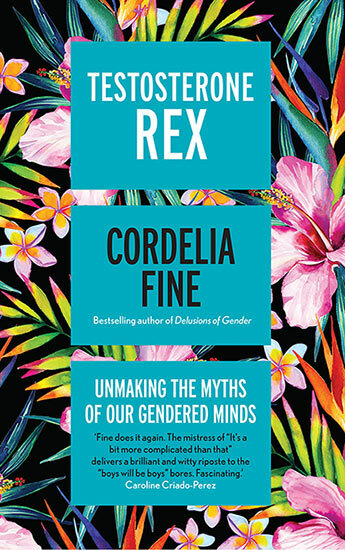 Melbourne-based British author Cordelia Fine has won the £25,000 (A$42,185) Royal Society Prize for Science Book of the Year for her book Testosterone Rex: Unmaking the Myths of our Gendered Minds (Icon Books). Chosen from a shortlist of six, Testosterone Rex debunks assumed ‘fundamental’ differences between men and women, and uses scientific evidence to challenge dominant ideas around gender. It is Fine’s third book, following 2008’s A Mind of Its Own and 2011’s Delusions of Gender (both Icon Books), which dissected the idea that gender differences were hardwired into the brain. The judges praised the book for ‘its eye-opening, forensic look at gender stereotypes and its urgent call for change’. Fine, a professor at the University of Melbourne, travelled to London to collect the prize at an event held by the UK Royal Society on 19 September. The Royal Society Prize for Science Book of the Year is presented annually for ‘outstanding popular science books’ written for a non-specialist audience.